... and "If the essence of my being has caused a smile upon your face or a touch of joy within your heart. Then in living - I have made my mark." We met Doña Guadalupe a couple of years ago through one of our amazing collaborators: Adriana Quiroz (you can also find the story behind her friendship with Ubuntu in the “Stories” section). Adriana and her family have worked with Guadalupe for many years. Since the 1990´s, Doña Guadalupe has been collecting textiles and “huipiles”, the traditional garments that Mexican and Central American indigenous women have worn for centuries. They are beautiful pieces, usually blouses or dresses, embellished with beautiful and incredibly unique designs. They are the result of a magical weaving technique passed down through generations. Doña Guadalupe’s vast collection has items that come from Oaxaca, Chiapas and Guatemala, and some of them are more than 40 years old. 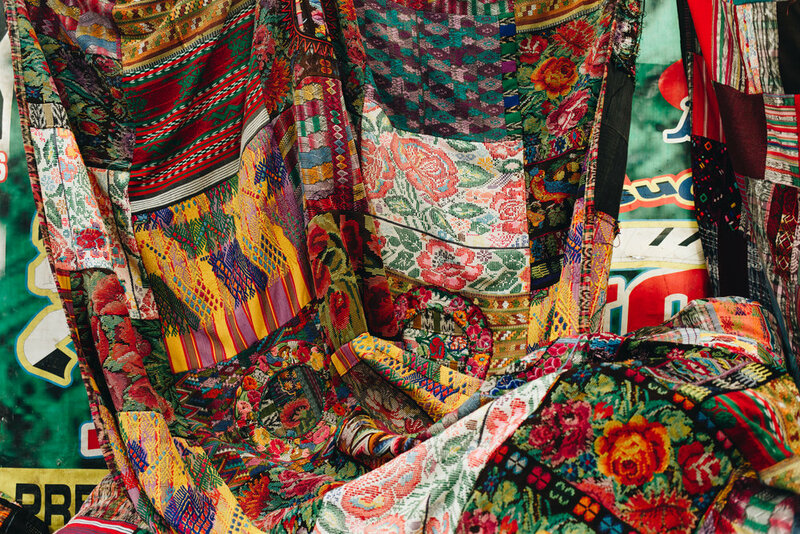 Her layer of color and fabric hold an enormous amount of design history and culture. Because of her love for colors, textiles and fabrics, she is making sure that this tradition is preserved. It is because of people like Doña Guadalupe, that us, the younger generations are still connected to our cultural roots and are lucky enough to dress and be inspired by them. Unfortunately, nowadays the fashion and design industry is relying more and more on technology to design and create their products. We want to help create the bridge between consumers in areas like New York, lovers of diversity and exploration and these keepers of magnificent artwork. We are grateful that Doña Carmen is willing to share her passion with us.